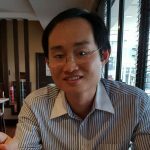 Permanis has once again taken ownership of World Milk Day (1 June) for Goodday Milk like what it did for Wonda Coffee with the International Coffee Day (1 October). 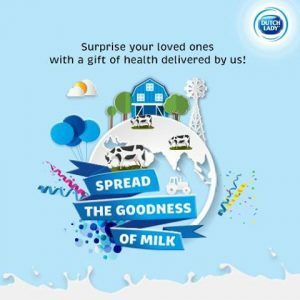 The company full maximised the print ad, radio, online and TV for its World Milk Day marketing. 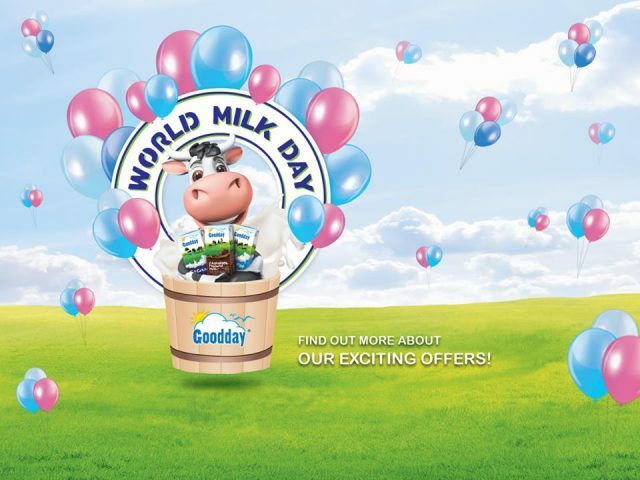 Several promotions were launched by Goodday in conjunction with World Milk Day. 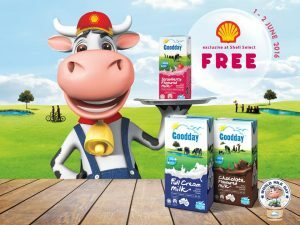 These promotions include charity (donating to underprivileged children in partnership with 11street.my), freebies (buy two 250ml and get one free at Shell) and attractive offers (buy two 250ml for RM2 at MyNews.com). 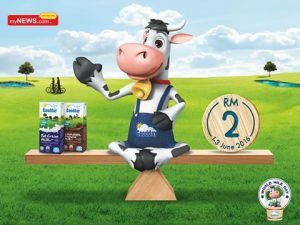 Permanis’ Etika will also be distributing 30,000 Goodday Milk packs to the public in the Klang Valley until 5 June 2016. These milk will be distributed by Etika staff, milkmen and the brand’s cow mascot Dee Dee. Dutch Lady’s World Milk Day does not have the same media exposure as Goodday. However, it does have one thing that is unique in line with the theme of sharing the goodness of milk with your beloved. 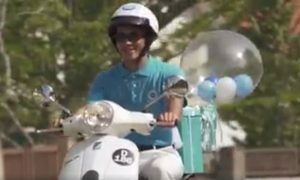 The brand provides personalised delivery of a gift of health (milk) to the loved ones as a surprise. 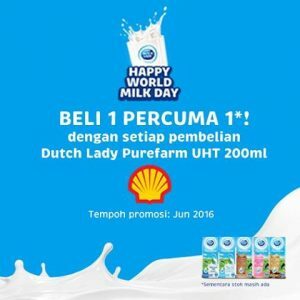 Apart from the warm surprise, Dutch Lady also did the same with Goodday with the buy one 200ml UHT milk, get one free promotion at Shell and buy two 200ml UHT milk for RM 3.00 at Petronas as well as buy one 200ml UHT for RM 1.30 at 7-Eleven. In 2015, Dutch Lady did not carry out marketing for World Milk Day. It can be surmised that in 2016, Dutch Lady was reacting to Goodday’s aggressive World Milk Day marketing and had to come up with something as a response. In the Philippines, Alaska Milk, owned by FrieslandCampina, the same parent of Dutch Lady, will be celebrating World Milk Day with the Alaska Milk Day family run on 11 June 2016 in four locations – Metro Manila, Davao, Naga and Cebu. 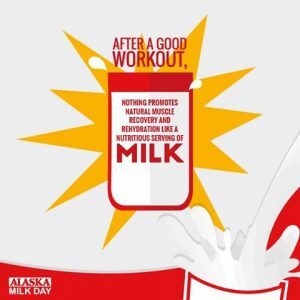 The dairy company is imparting the message of milk’s goodness for natural muscle recovery & rehydration after a good workout with milk as the key to a healthy lifestyle. 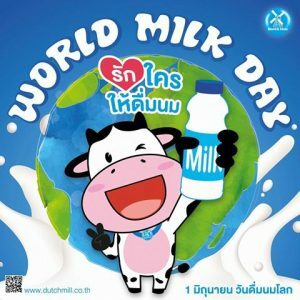 In Thailand, World Milk Day is not as big as in Malaysia and the Philippines. 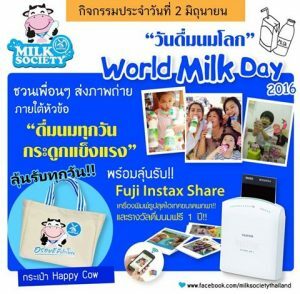 Dutch Mill’s World Milk Day promotion is all about giving away bags featuring the cow mascot and Fuji Instax Share as part of a photo contest for Dutch Milk 4-in-1. In China, 1 June is Children’s Day. Therefore, there is no celebration of World’s Milk Day. It takes two to tango. 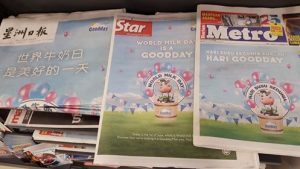 We will be seeing a lot more World Milk Day marketing in Malaysia as both Goodday and Dutch Lady are vying to outperform each other. In the Philippines, the Alaska Milk run has become an annual event and this will be forever associated with World Milk Day.